Pink Floyd released their new and last album. 30 years ago Pink Floyd drummer Nick Mason raced for the 5th and last time in the 24 hours of Le Mans driving a Group C Porsche 956. 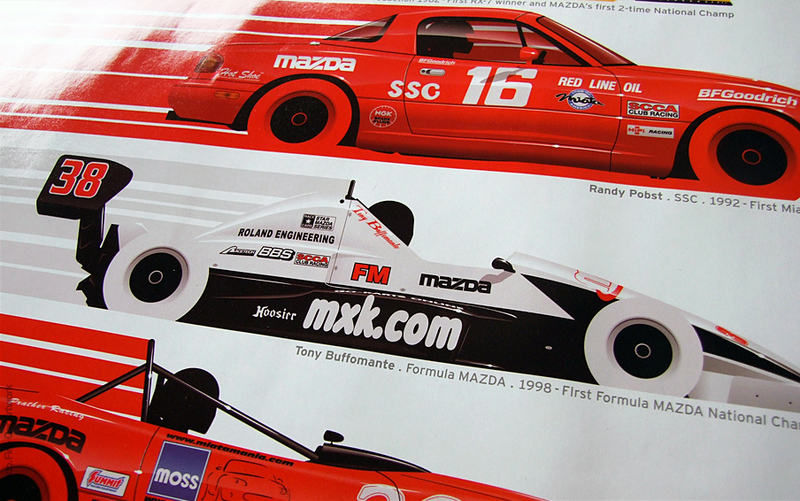 A special car art article in Road & Track magazine. It's great to be alongside Fabian Oefner, Tobias Hutzler, Guy Allen and the great photographer Jesse Alexander. German based design agency EIGA launches every year, since 2006, a trend diary. For the 2014 project the subject was Design Concepts for Mobility, Speed and Motion. Jackie Stewart's Tyrrell 005 illustration was chosen for this project. This trend diary has other illustrations as well as product and communication design and architecture projects of many artists, designers and architects from several countries.